Winter has finally arrived in Stockholm this week. Unfortunately (!) I was up north within the Arctic Circle (Jokkmokk) when this happened so the – 15 temperatures in the capital this weekend almost feel warm! And today was a glorious winter day, like those I am used to back home: cold but sunny. For a change, I was in no rush to get into a café when I left home this morning. I was slowly strolling on Götgatan, making several stops in the middle of the street simply to absorb some sunlight. This is totally normal in Stockholm! I eventually made it to my favorite store where I buy my music magazines every weekend. This morning I bought “Under the Radar” and “The Word”. I was then ready to find a nice café where I could enjoy the magazines but the sun kept me out a bit longer than I had expected. After a while, I realized that I was at Mariatorget and it was right there in front of me: johan & nyström! 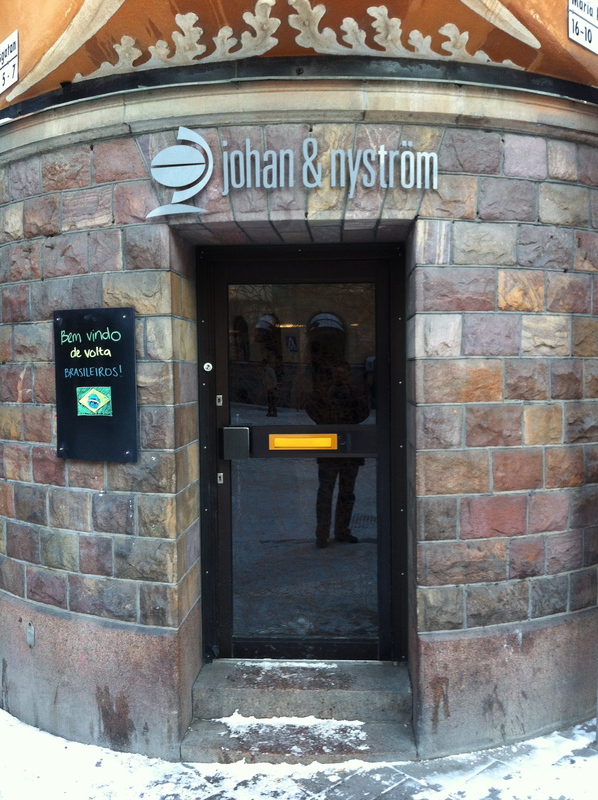 Frankly, I can’t really explain why it took me so much time to go to johan & nyström. Located right on the corner of Swedenborgsgatan and Maria Prästgårdsgata, I had passed by that café on numerous occasions, promising myself that it would be my next stop. I think I was a bit intimidated by its look. It looks so trendy, so hipster, so…. Stockholm! And it is all of this. But it is also much more than that. Somehow, it is also unpretentious. And with very friendly staff. And they know quite a bit about coffee! As soon as I walked into the café, I knew that I would want to spend some time there. I was therefore happy to have two nice magazines with me. I sat a the bar and started with a nice double espresso. Double espresson under the radar! 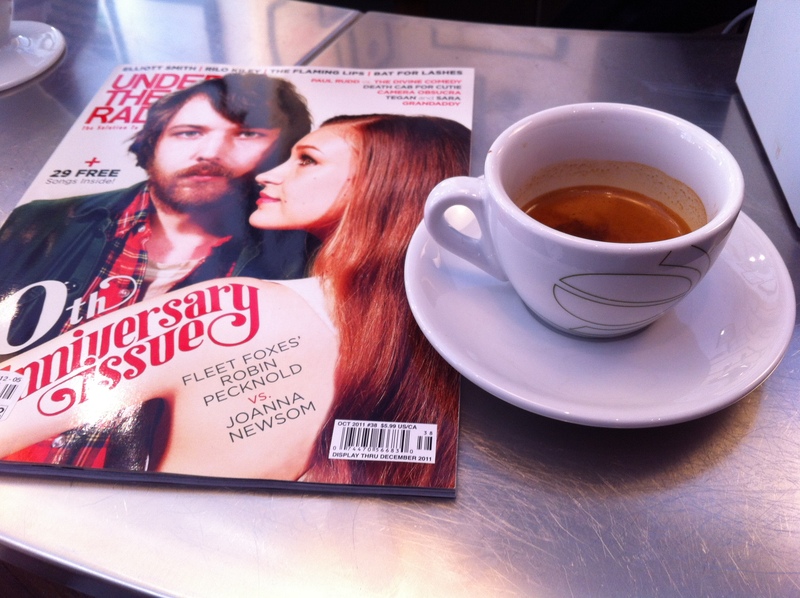 As I was reading the 10th anniversary issue of Under the Radar and drinking the double espresso, I thought that life was good. 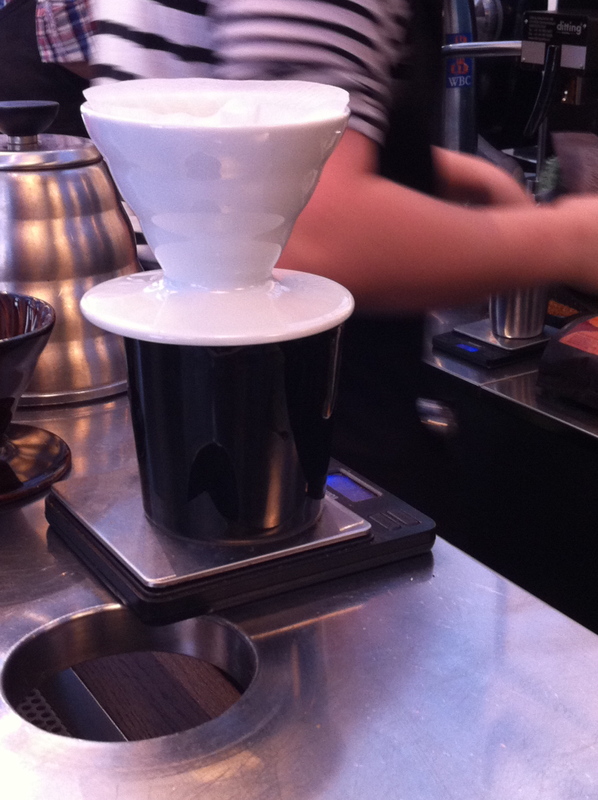 I also enjoyed watching the staff prepare coffee for customers, a nice mix of regulars and tourists. 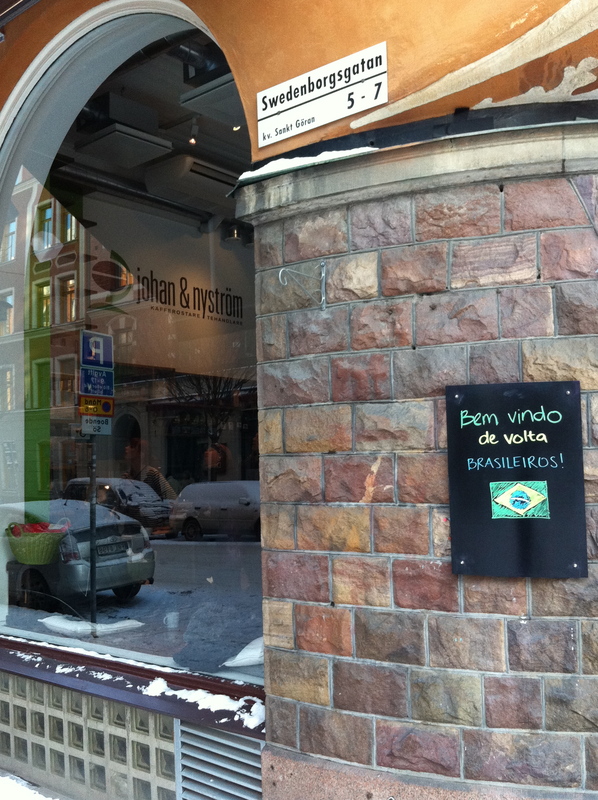 After the double espresso it was time to get serious and I got a nice brewed coffee from Brazil. Staff at johan & nyström wants to make sure that every cups taste the same so they are using a scale to make sure the same amounts of coffee and water are used when preparing the brewed coffee. The result is pretty good! 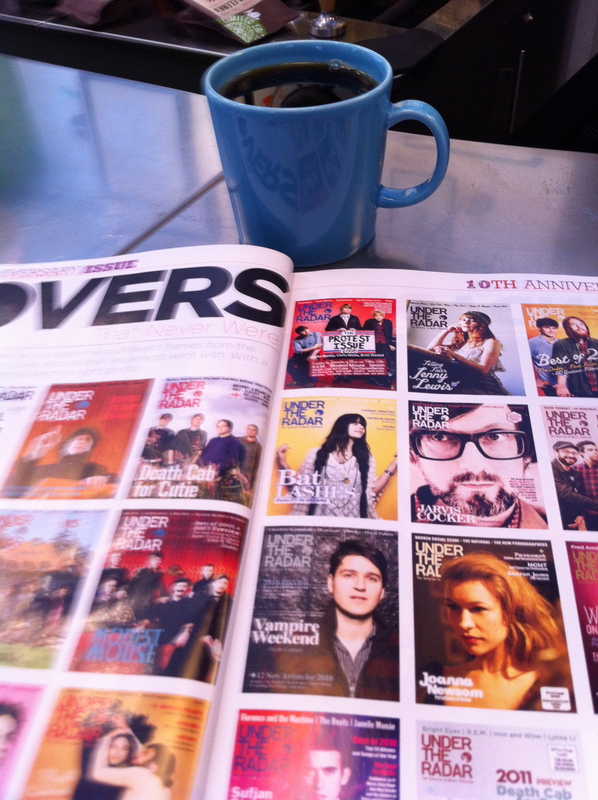 I enjoyed the brewed Brazilian coffee while looking at “the covers that never were” Under the Radar! Johan & nyström is only a couple of blocks away from Drop Coffee, which means a difficult decision every time I will pass by Mariatorget. I think I can probably handle both. I just have to be careful not to pull a Dave Grohl! johan & nyström is not only a coffee bar. 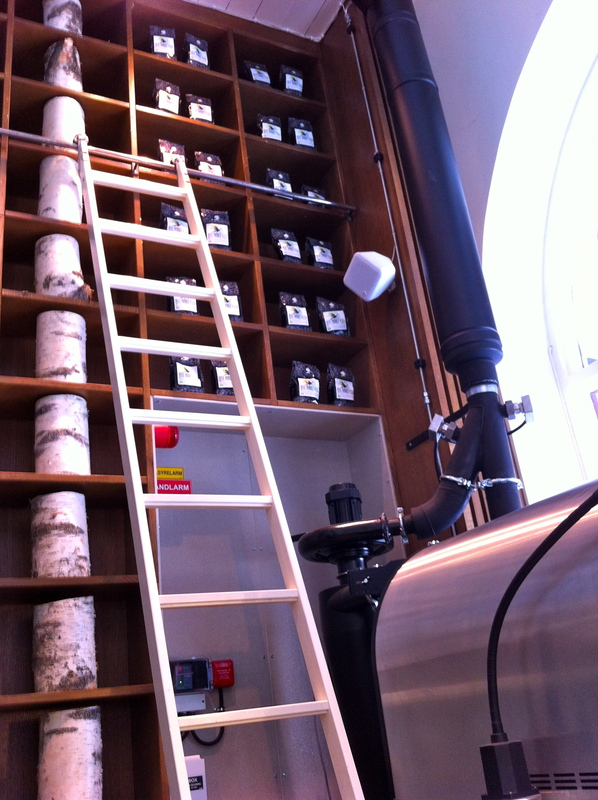 It is also a coffee boutique where one can buy coffee beans. Oh, they also have a nice tea collection! Your walk reminds me of a cat in the sunlight. The world would be a lot more stress free if we acted like cats every now again.. albeit perhaps a bit neurotic. 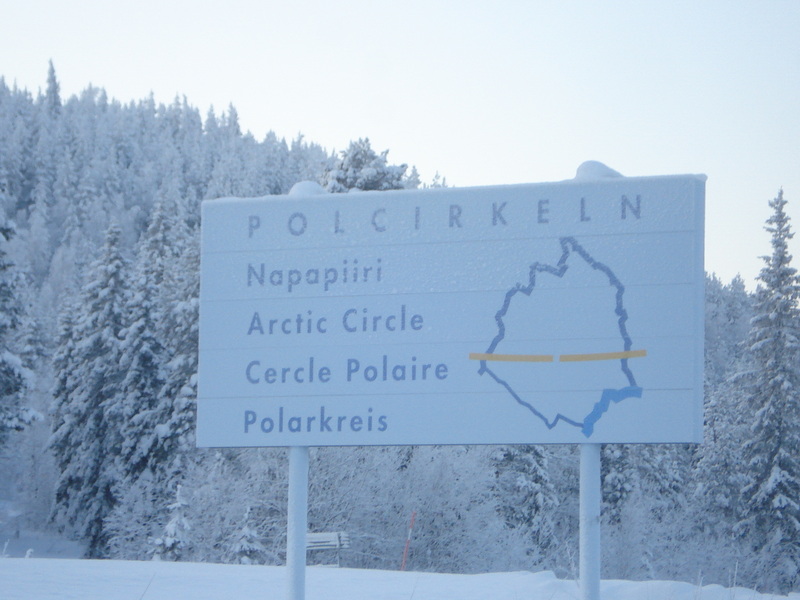 Polar circle = amazing experience!! nice! Thanks Miss Sparrow! Neurotic sounds like a nice option! I am hoping to repeat the experience this weekend. mmmm amazing food. Did I tell you I got a Swedish cookbook for Christmas? It’s a bit intimidating! With your culinary talents, I am pretty sure you could fool a Swede with your meatballs or some herrings! Can’t wait to hear about your next Swedish dinner party. That is one very nice looking coffee shop! 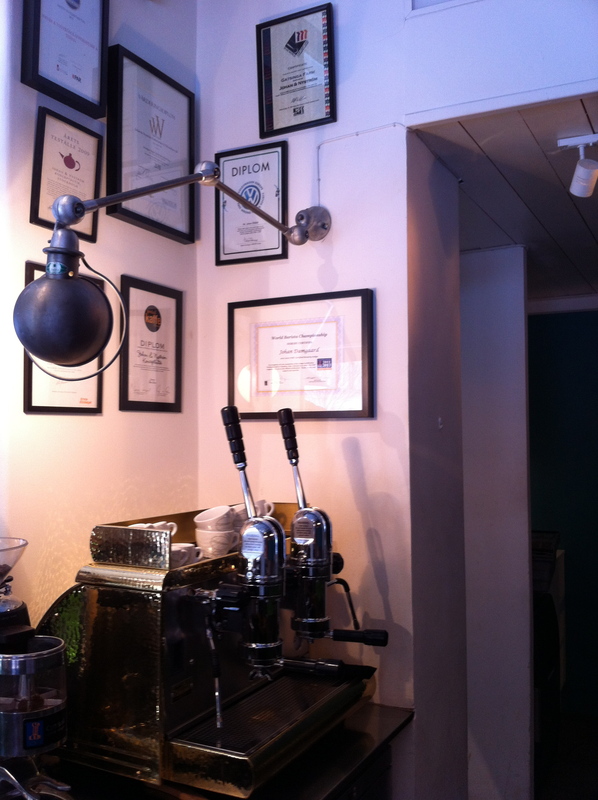 Yes, it has everything I love in a café: nice look, friendly staff and good coffee! It is getting harder and harder to find new places, not because there aren’t any but I just want to go back to places I love!